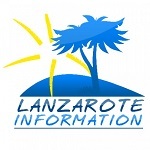 More than a fifth of Lanzarote’s population is now foreign born, totalling around 33,000. We show the numbers of the most numerous groups. Spain has uniltaterally guaranteed the rights of 400,000 British citizens currently living in Spain, in the event of a no deal Brexit. Bella Lucia is a magnificent sailing ship that has plied here trade around the islands for 138 Years. Even César Manrique has a hand in her story. The British Consulate are holding two meetings in Lanzarote aimed at helping British Nationals living on the island understand the implications of Brexit. In brief news this week, the airport is renamed Lanzarote César Manrique airport, a hang glider in critical condition after a crash and much more.